We are incredibly pleased to welcome David de la Torre to the Acción Latina family. 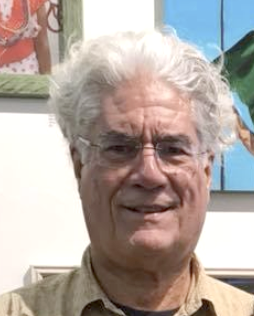 De la Torre brings with him to our board a wealth of experience in the art world as a museum director, curator and educator, who has long held interests in contemporary American and Latin American art, international folk art, as well Asian and Pacific Island art and culture. As Executive Director of The Mexican Museum in the 1980s de la Torre was instrumental in securing the Nelson A. Rockefeller Collection of Mexican Folk Art and the Andy Williams Collection of Pre-Hispanic Art, among other major gifts. He has organized numerous exhibitions on Mexican and Mexican American culture including highly popular projects on Frida Kahlo, Diego Rivera, Carmen Lomas Garza and Rupert Garcia, among others.